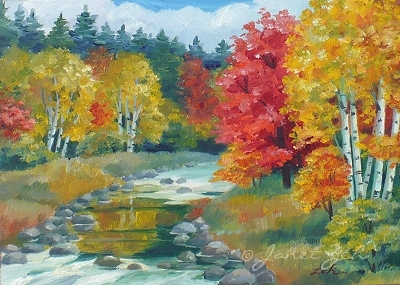 "Autumn Blaze" is a painting I've done several times in watercolor and oils, but only once with birches in the landscape scene. 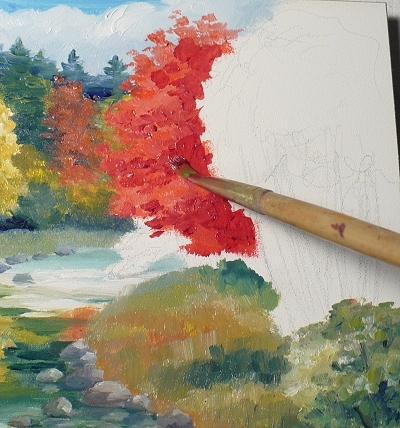 This time, the painting will be done on a 5"x7" panel - a mini landscape - as a custom painting for one of my collectors. 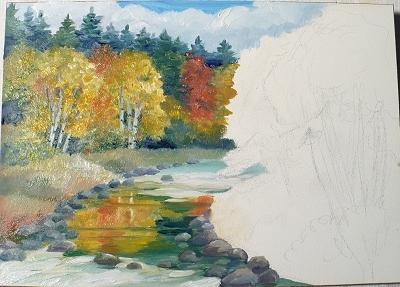 Below you can see that I've painted a bit of sky, some clouds, and the trees on the far side of the stream bank. 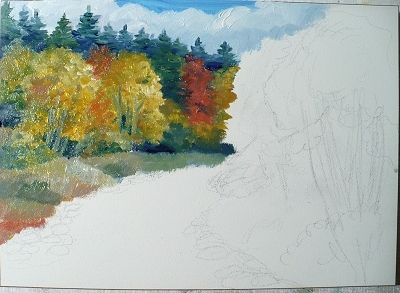 The yellow trees will be paper birches - I just need to add the whites and details. Now they look more like birch trunks. I add rocks and reflections in the stream. On to the foreground trees: one of them is flaming red. I paint it with a small flat brush and thick strokes which is nice for landscape. Notice that I use brighter colors in the foreground to give depth to the painting. 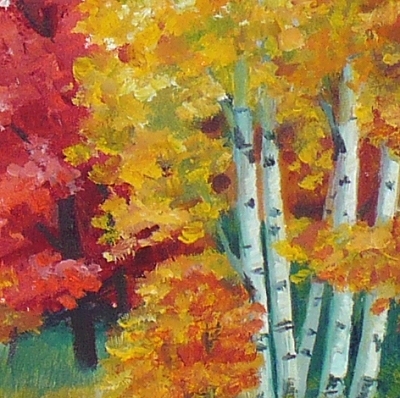 The trees to the right are birches, and I paint them last. Here is the finished painting, just in time for fall! I'm happy to take custom orders! Please contact me for a custom painting or to have a print made of a painting you like.